J Crew features heavily, not sure about you but I think their prices have got a lot fairer this season. I didn't want to go too overboard in the collage but you should also check out this laced sweater and this tie dye tee in addition to the bits above. Secondly, if you didn't already know you should really check out the Whistles mid season sale. Its pretty damn ace. The lace skirt above is super cute and half price… This denim jumpsuit is the absolute bomb, I've been craving it for ages. It's from affordable luxe basics eStore Atterley Road, a website that it always staggers me that few people know about - but then, it's a hidden gem. So go and buy it, but don't tell too many people about it. It can be our little secret. Next up, unless you've been living under a rock you'll know that Pharrell Williams has paired up with Adidas to create a range of Superstar trainers. Having given up waiting for Stan Smiths to come available in my size I decided to buy these green ones - I figured that they were a neutral enough colour to last a few seasons… I love them, so comfortable. Slightly more "formally" I'm loving a few bits from Reiss at the moment, my white blazer hasn't made it through to this season (coffee stains are a b*tch) so I'm hoping to upgrade to this one soon. Last but not least, this shirt from Topshop is perfect office "fridaywear" - put it under a jacket during the day and then remove for pub time! I've lived around the Northcote Road on and off for 5 years, and it's a beautiful little bit of London for any of you who haven't visited it. 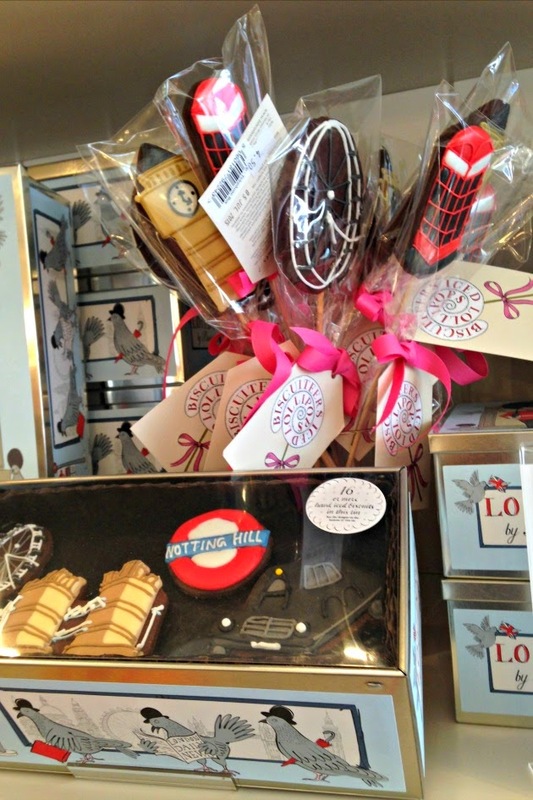 To get there, hop on the train to Clapham Junction and it's a 5 minute walk from the station. You'll know when you're in the right place; suddenly the streets start getting pretty and little boutiques and market stalls appear. 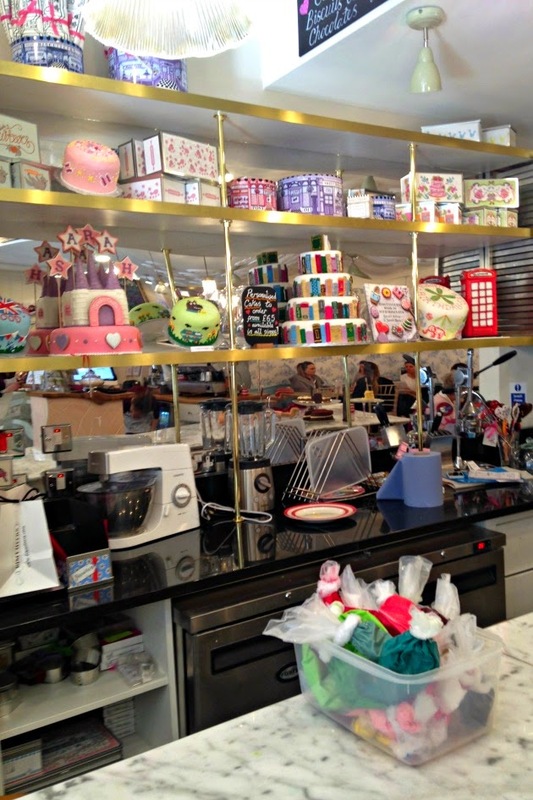 The shop is amazing inside, with shelves filled with biscuits for every occasion and theme you can imagine. Better still you can watch them all being baked and iced as the kitchen is in the centre of the store. At the back (and outside if the weather is nice enough) is the cafe - where we were presented with the platter of sugary (and savoury) goodness! The whole thing was pretty amazing, made even better by the lovely staff who went through all the different biscuit making classes you can do there (which I'm now dying to do) as well providing a stream of coffees and hot chocolates. I really can't recommend it enough - the biscuits don't always look good, they taste unreal too. At £48 for two people it is a real treat, but you get your money's worth. 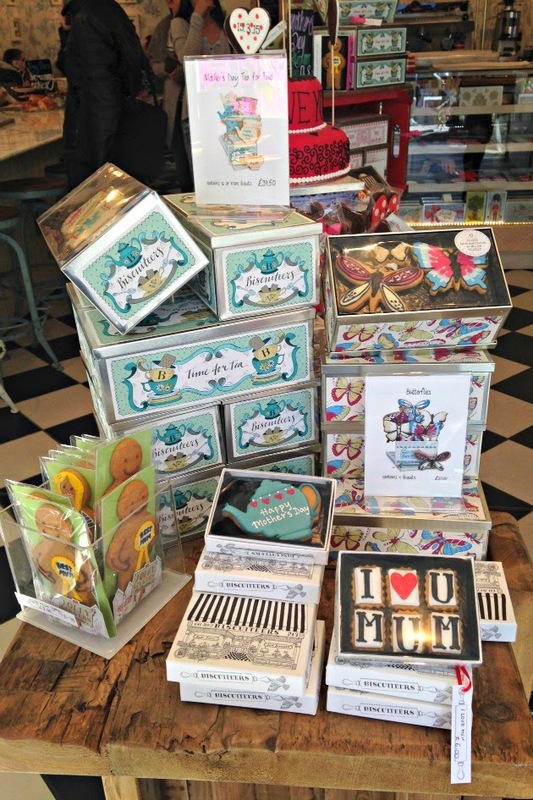 Or, you can just pop in for coffee and choose from the hundreds of different biscuit shapes! 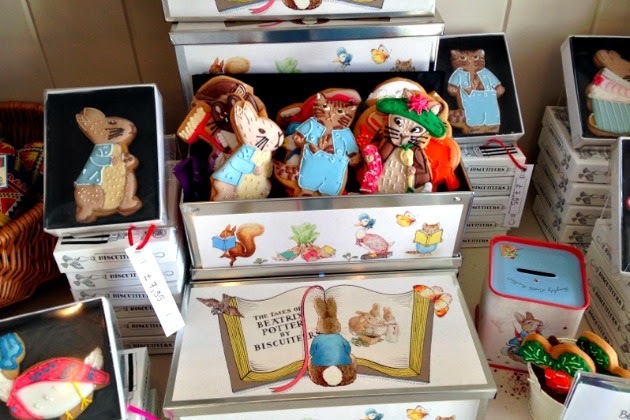 There are two Biscuiteers shops in London, but you can order them online here (which I've done before, and they're fantastic). So there is no excuse not to get involved and try them out! 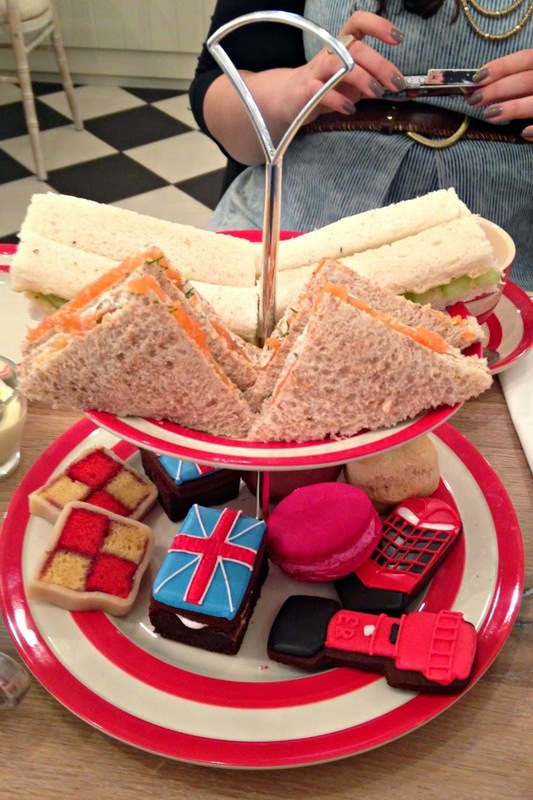 *I was invited as a guest of Biscuiteers, who had no editing or influence over my content. Apologies for the mini hiatus, some of you may know from Instagram that I haven't been all that well recently so blogging has taken a backseat. I've finished the radiotherapy for now, thank goodness, which if anyone ever goes through isn't that bad in itself but the post-treatment-symptoms aren't fun at all. I've been happy with anything making my life easier and thats where my friend's new company Nosh comes in. I've been at the hospital most mornings so grabbing breakfast has been tricky. Nosh is essentially a "breakfast on the go" - with a difference. They've got quinoa and oats in them, and you chew them. Both of those things may sound odd but to be honest you just need to try them because they're bl**dy tasty and as you do actually chew, you feel like you've eaten something (so it isn't like having a smoothie or a juice where you feel your stomach rumble 10 seconds after finishing). I absolutely recommend the strawberry and banana one… It's one thing that I will be keeping going with when all this is over! 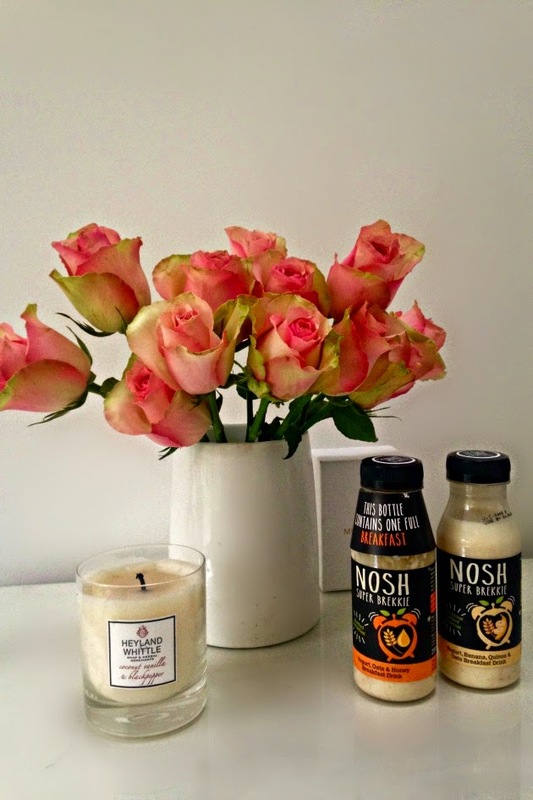 "I need @NoshDrinks to get me started in the morning. Pick me! #noshdrinks"
Other new favourite have been lovely gifts from friends like the roses from "postable florals" company Bloom and Wild. The packaging when they arrived almost made me not want to unwrap them - and the Heyland and Whittle candle has been a favourite for years so is always gratefully received! Thank you all for your well wishes, Lopez is taking excellent care of me and I'll be back to blogging properly very soon! I've long been a fan of trench coats. In fact I have three (coats are the only section of my wardrobe I'm yet to manage to cleanse, I have way too many); a navy one from ASOS, a classic camel coloured one from Whistles and a "proper" trench from Aquascutum. 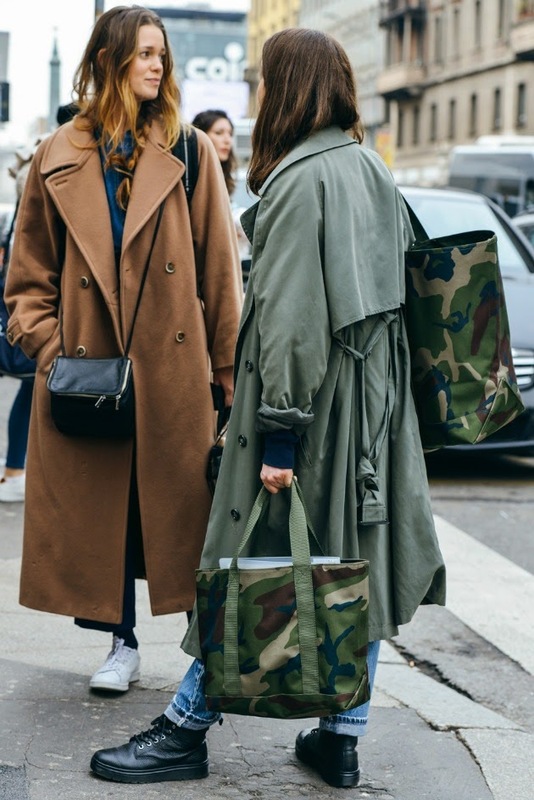 This picture from Milan (I think by Tommy Ton, though can't be sure) is street style at it's best for me. Two coat I'd really like to own… Here is a selection of my favourites from the high street and the luxury stores at the moment (and I hate to say it… but I really recommend in investing in pieces like this).